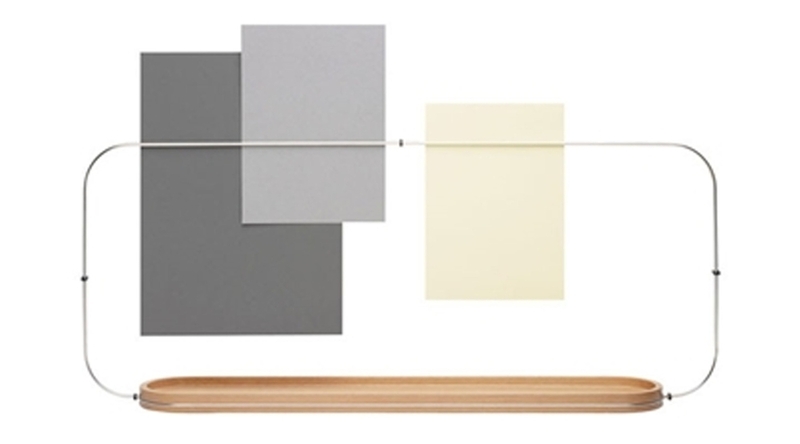 Grovemade has an amazing desk collection, beautiful handcrafted products from quality materials: leather, maple and walnut wood. They thought of everything: a phone dock, a wrist pad, a laptop or monitor stand so you are sure you keep your back straight and much more. You remember those paper envelops? What about having them in leather? Simple, elegant pieces which will age with grace. A touch of the classic to daily functionality. 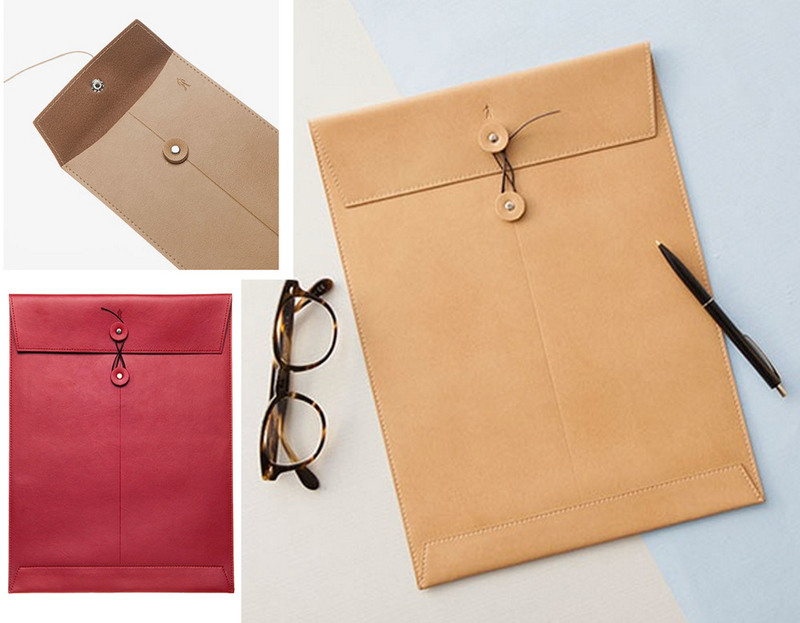 They exist in different dimensions, perfect to keep papers in A4 format, or even to carry your IPad around. Take also a close look at the details. We are getting more and more towards a paperless world but it is great to have some design objects for the papers we still have to organise. The Cube collection of Tom Dixon is stripped back to the bare essentials. 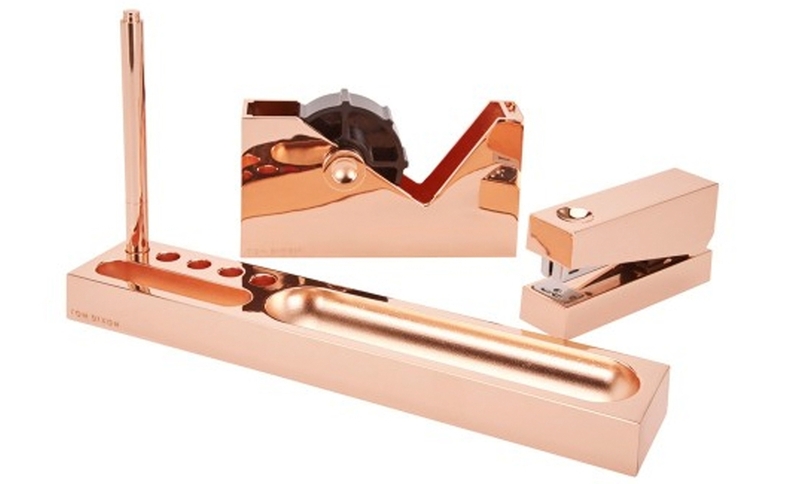 It is made of zinc alloy and plated with copper. Design for the sophisticated desktop. It should not all be serious: I love those small paperclips, graphical, colourful design pieces, they almost look as jewellery. This versatile desk organiser Fierzo from Alessi can be used to keep notes in plain view or you can use it to keep some pictures. The beechwood base can be used to hold some pencils or objects. Perfect for customising the workspace. You go to see clients, have meetings on the site: you want to have all you need with you. 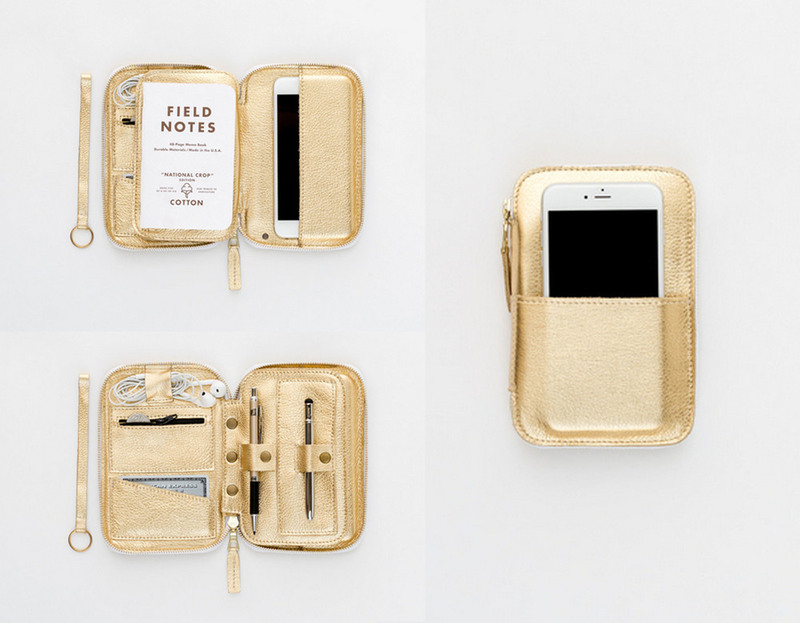 Mod Mobile is designed to keep your phone, pens, note book, cards, currency all nice together in a wallet size carry. The wrist strap and the gold leather makes it more than an office on the road, you can go from work immediately to the cocktail party, you will look stylish all day long. It also comes in more classical colours, so not just for women. 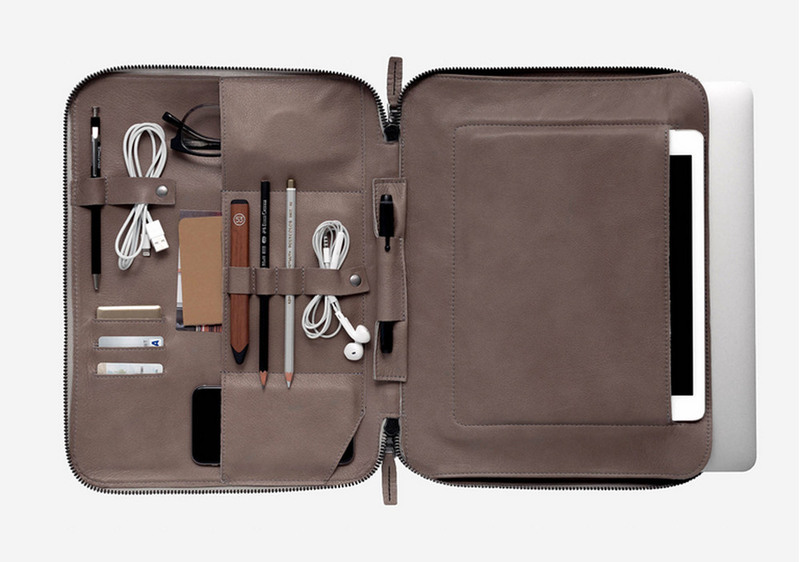 Your mobile office: a customisable case to carry your daily essentials. It holds you computer, tablet,power adapter, cords, pens, phone, glasses, cards and currency. It has a detachable strap that allows you hand-free commuting. This is Ground has thought of every single detail and it comes in the most beautiful leathers and colours. A functional pocket size charger: recharge your phone on the go, when you are on the road to meet client or on your travels abroad. Finish your day with cleaning up your desk and the next morning you will find a fulfilling work environment.